Home » WhatsApp » How to Delete Sent WhatsApp Message After Delivered? With the advancement of technology and social media platforms, the number of WhatsApp users has also increased. However, it has happened with many of us that we had sent a message by mistake but couldn’t delete it. Well! Deleting a message from WhatsApp is easy, but to delete it after delivered is what one should know. Finally! WhatsApp has come up with this feature and one can now delete the message even after it is delivered to the wrong recipient. No need to worry! 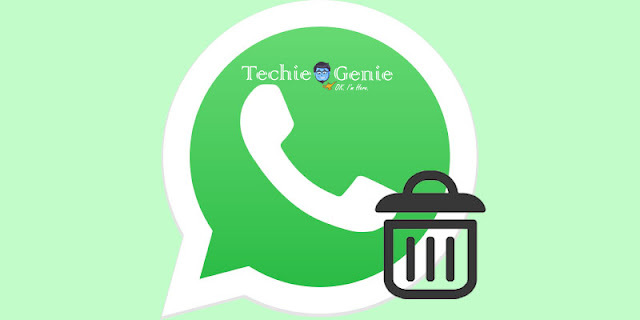 Here is a guide on How to Delete Sent WhatsApp Message After Delivered. WhatsApp has got this life-saving feature of deleting the delivered message a few days back. And here is how you can delete the message once delivered. Step 1: To use this feature of WhatsApp, the first and the foremost thing that you need to do is to update your Android phone and ensure it is v2.17.402 or above. This is really an important step and you can’t simply skip it. Step 2:Now once you have updated your android mobile phone, you simply need to open your WhatsApp. After you open it, select the desired message that you want to delete or that you had sent by mistake. Step 3:The best part is that with this feature, you can simply select as many messages you want to select and delete it at once. So select all the messages at once and follow the next step to delete. However, you should remember that you can select several messages from one chat recipient only. Step 4:The very next step that you should take is to click on the delete icon on your screen after selecting the desired messages you want to delete. Step 5:The last and the final step that you need to follow is to choose from the threes options seen on your screen. Yes! You will get three options to choose from- Delete for me, delete for everyone and Cancel. If you want to delete the message from your device, then choose the first option “Delete for Me” and if you want to delete it from both the end-the receiver’s as well the from your device, then choose the second option “Delete for Everyone”. However, the option is to cancel the whole process. You can choose that option only if you want to end the whole process. Step 6:Next thing that you will see once you select the “Delete for Everyone” option that “This message was deleted”! Step 7:Lastly, it means that you have successfully deleted the sent or delivered a message from your WhatsApp. Weren’t we all waiting for this awesome feature? Well! Yes, deleting the delivered messages from WhatsApp is all that we want to save our life from awful and embarrassing situations. You can also delete the images and gifs sent by mistake or to the wrong recipients. It will also work on both iOS and Android.